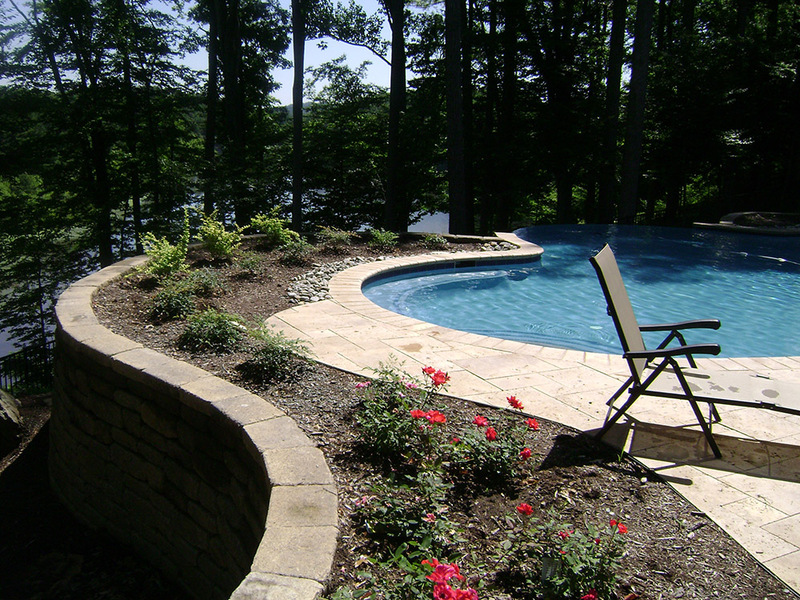 This homeowner’s pool installation required structurally engineered retaining walls by Versa-Lok. The tiered walls provided a leveling pad for an infinity edge pool. Decorative natural stone seat walls and steps were capped with blue stone. Accent lights built into the walls provide reflective night interest around the water.